I have thirteen tattoos and think they're all pretty cool (and definitely don't qualify as "bad-quality"). An ex-girlfriend of mine decided to get the back of her neck pierced in 2003. It was a spur of the moment decision, made mostly because she already had jewelry in her tongue and lip, and multiple piercings in her ears, and was staunchly against piercing her navel but still craving more metal. 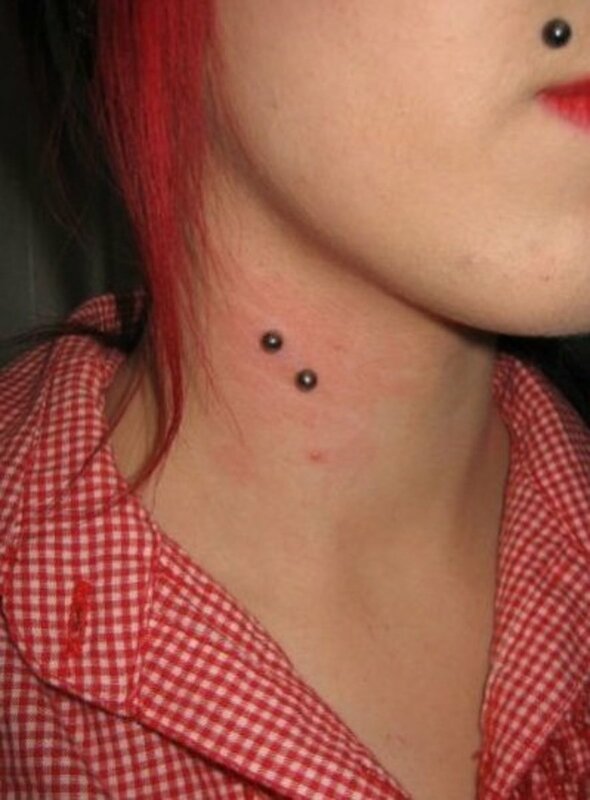 This isn't a piercing you can just get done anywhere. 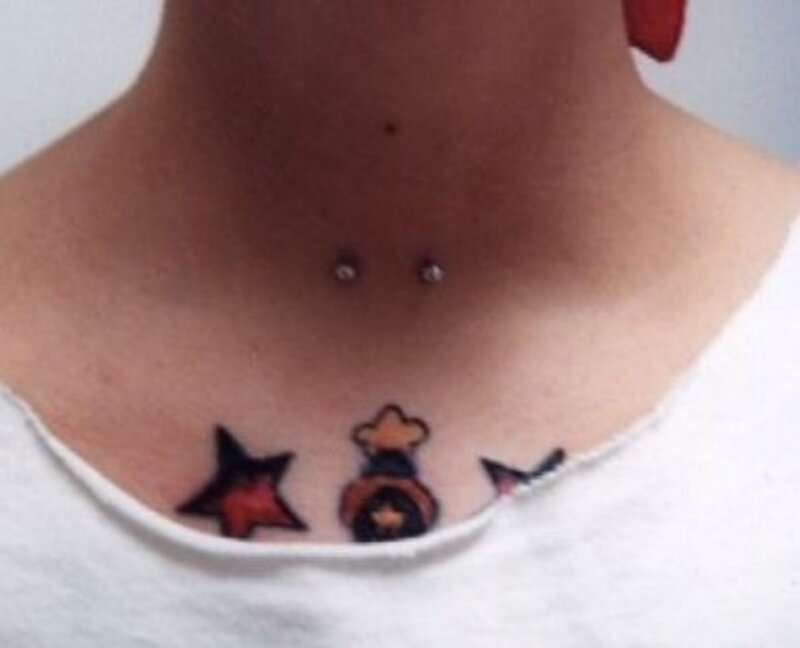 Neck and nape piercings fall under the vast category of "surface piercings", and should only be done by an experienced body mod technician. We took the drive into Philly to go to Infinite on 4th & South Street, where we had been going for various piercings since high school. I myself had my tongue piercings done there (both of them), along with my belly button piercings (both of them), forward helix and cartilage ear piercings, and even a genital piercing--an act so intimate I would only trust Infinite (hey...that could be their new slogan!) Her back of the neck piercing went off without a hitch, and according to her, it was less painful than her industrial ear piercing. The only thing she didn't like was that she "couldn't see it with her eyes" and couldn't clean it herself--she had to rely on me for that. 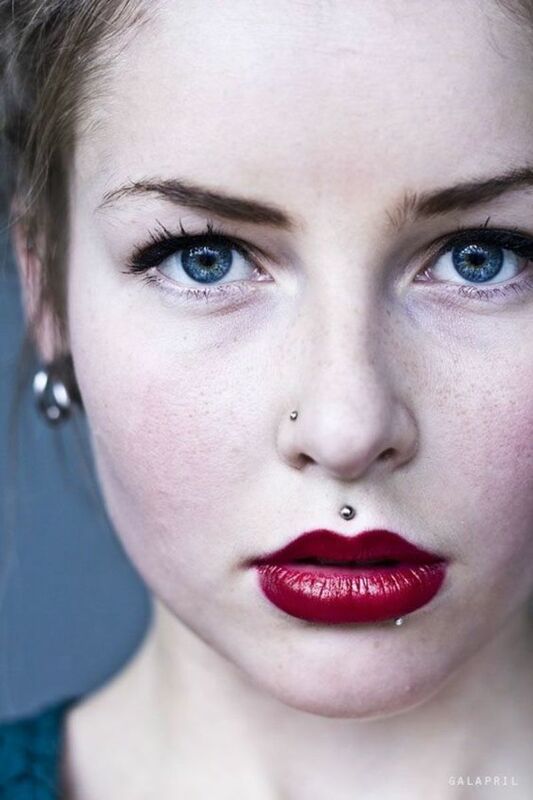 The difference between a standard piercing and a surface piercing is a surface piercing has both entrance and exit holes that go through a flat area of skin. According to the BMEzine Encyclopedia, "Most surface piercings fail, not because surface piercings are impossible, but because there are a lot of totally incompetent piercers out there that don't understand how the body heals." 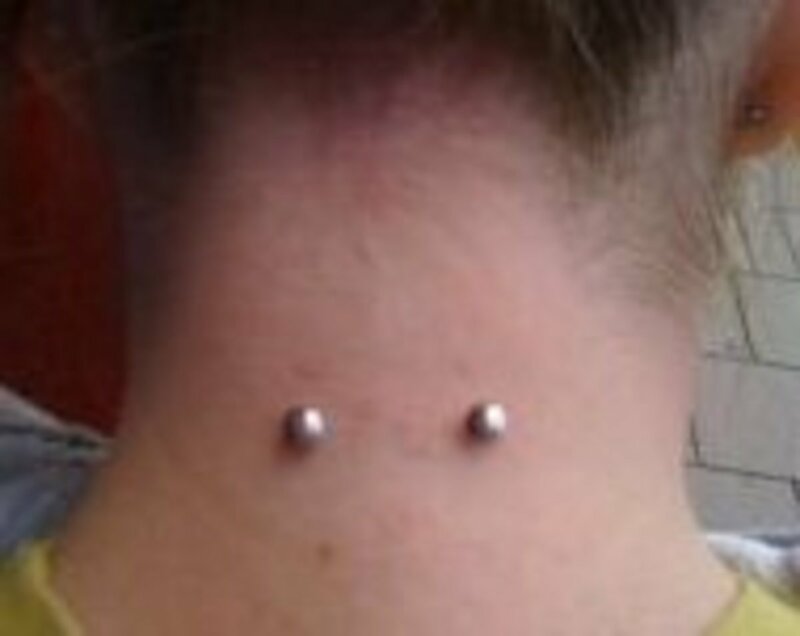 An uneducated piercer will try to do a surface piercing with the straight barbells typically used in regular piercings. This almost always fails because the jewelry is totally inflexible--it migrates around the skin as it is rejected by the body, resulting in extreme irritation and possible scarring. The key to a successful neck or nape piercing is to find a reputable piercer who uses a staple-shaped surface bar for the piercing. 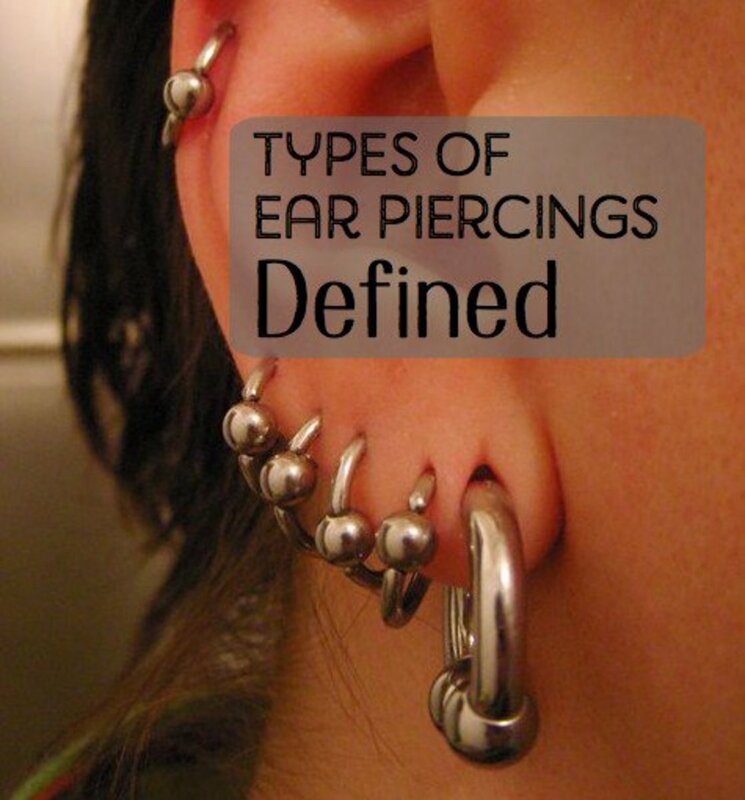 They are specifically intended for surface piercings and their unique design was created to promote the natural healing process. Unless you are getting pierced by an experienced piercer, your neck piercing will almost always run the risk of surface piercing rejection. 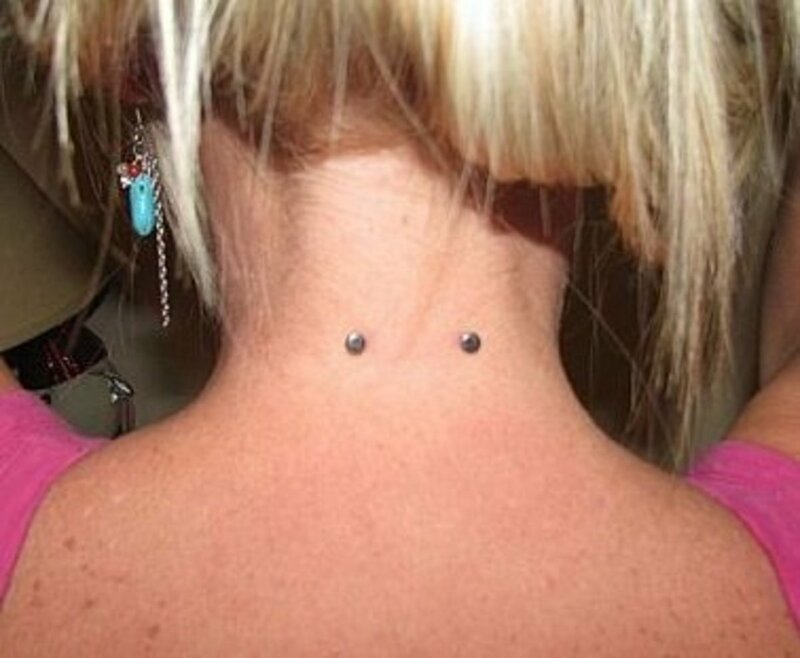 Generally speaking, a nape piercing refers to a piercing on the back of the neck, just below the hairline. The positioning, size and shape of the jewelry does not matter, and has no bearing on the definition of the term. 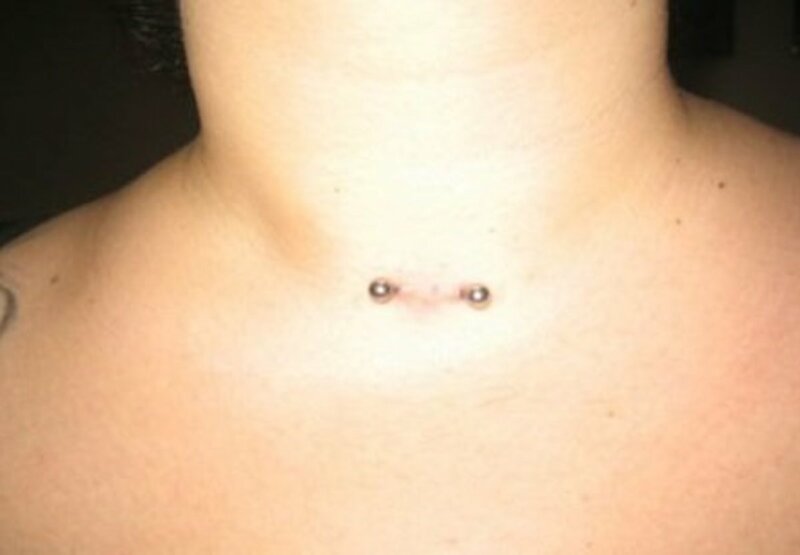 A neck piercing, sometimes also referred to as a madison, is typically positioned on the front of the neck, often in the fleshy part just between your collarbones. It can also refer to any piercing that is on the front or sides of the entire neck, from the adam's apple (if you're male) down to the collarbone, across to the hairline and up to the ears. janna, it may just be excess pressure that's what happened to mine, are you doing the salt soaks? wait a few more days then return to your piercer to have them look at it. I Just got my Nape pierced && i didn't flinch. It was done with a plastic and Flexible bar It hurt a little but bot really bad. 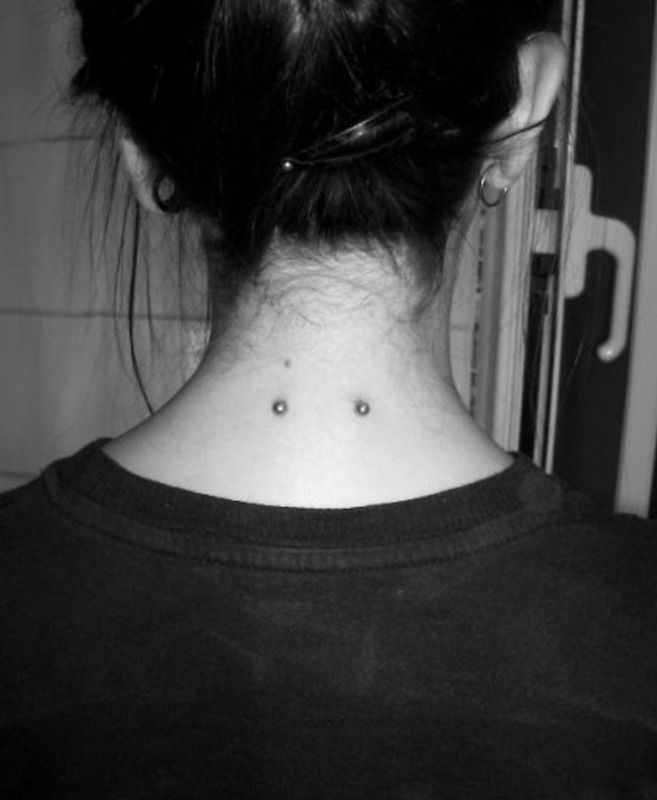 They are not dermals, you can get flat top surface piercings, with the staple bars. You can tell on one of them as there is raised skin between them; how ever one of them does contain a dermal, the one with 3 balls on, is clearly a dermal. 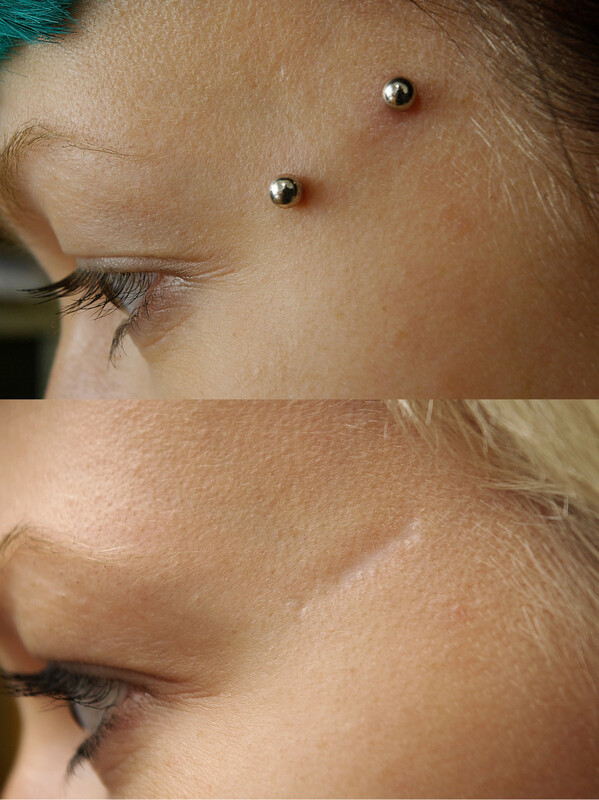 The third and ninth pictures are microdermal implants not surface piercings. 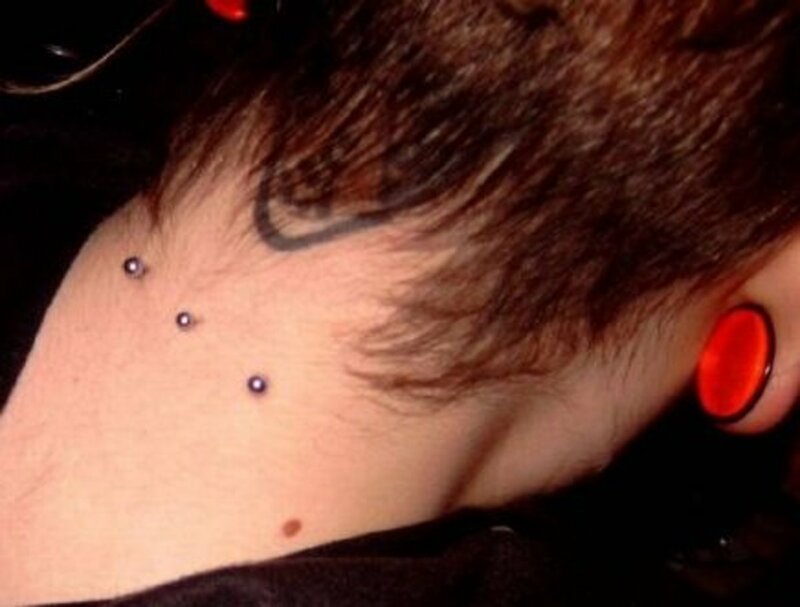 The second may also be microdermals, difficult to tell though.